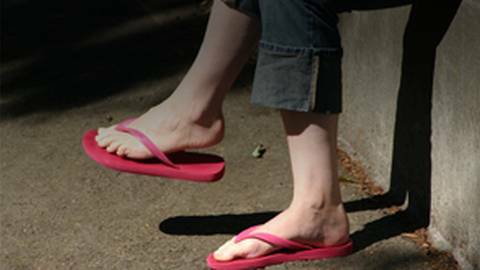 People who wear flip-flops may be proned to developing painful foot conditions such as plantar fasciitis. According to researchers at Auburn University, people who wear flip-flops are at increased risk of developing painful foot conditions such as plantar fasciitis. Dr. Brian McDonough elaborates.